The Nigeria Supreme Council for Islamic Affairs (NSCIA) and Muslim Students’ Society of Nigeria (MSSN) have expressed support for Muslims in Osun State over the hijab crisis. This is as tension was doused in the state yesterday with only Muslim students wearing their hijab to school. 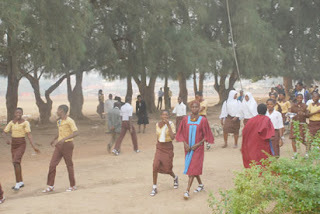 The Christian Association of Nigeria (CAN) had asked Christian students to wear church garments to school after the state High Court granted Muslim students the right to wear hijab (Muslims veil)) in public schools. While Secretary General of the NSCIA, Prof. Ishaq Oloyede, described the action of CAN as malicious, MSSN National and Lagos State Amirs (Presidents), Mallam Jameel Muhammad and Saheed Ashafa respectively tagged it an attempt to cause violence. According to a statement yesterday by MSSN Lagos Head of Editorial, Kunle Mu’Sodiq, the Islamic groups spoke at the grand finale of the 14th biennial Qur’an memorisation competition organised by MSSN, Lagos State area unit. In the statement, Oloyede said neither Christians nor Muslims had the right to resort to violence in a bid to get their rights. He added: “I believe that CAN will understand that there is no value in blocking people from enjoying their rights for as long as that right doesn’t violate the constitution. “Those who are in court are doing the right thing by going to the court. It will be malicious for any other person (CAN) to appeal in my own opinion. But is also their right to appeal and the truth will be decided by the court. On their part, Lagos State Amirs (Presidents), Mallam Jameel Muhammad and Saheed Ashafa respectively appealed to the Muslims in the state to resist the reactions of CAN by shunning violence. Ashafa also urged Muslims in the state to be calm and coordinated. “We wish to express our support for the Muslim Community and Muslim students in Osun State. They should protect their rights within the confines of the law and through peaceful news,” Ashafa said. Meanwhile, a meeting to resolve Hijab crisis was secretly held yesterday with security operative in the state. Also, the representatives of the state government who were the immediate past Commissioners for Information and Strategy, Hon. Sunday Akere and Attorney General of the state, Wale Afolabi were in attendance. Equally present at the meeting were representatives of the Nigeria Security and Civil Defence Corps (NSCDC), other relevant security agencies in the state and representative of the Baptist Church in the state. However, details of the meeting were not yet clear at the time of this report. The meeting which lasted several hours, was said to have generated serious argument between the security personnel and officials from the Baptist Church. The church officials, it was learnt, made it known to them that they were not qualify to hold any meeting with security officials, saying it is only the CAN that was qualified to meet them on the issue. Those came from the Baptist circle wanted to leave the venue as they claimed that they were not informed that there would be a meeting with them until they got to the place after they received a call from the Director of DSS that he wanted to see them.